There are a ton of steel roller coasters. They are, by far, the most popular type of thrill machine. Although within the category, there are all kinds of sub-genres such as inverted coasters, launched coasters, and hypercoasters. But only a few -- well OK, 10 -- can make this list of the best steel coasters. 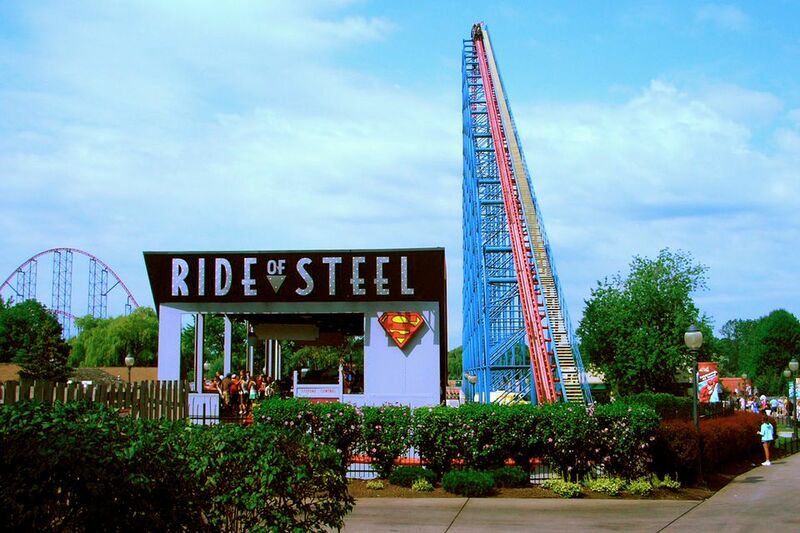 Speaking of hypercoasters, let's start with number 10, which is a tie between the essentially similar Ride of Steel at Darien Lake in Darien, NY, and Superman: Ride of Steel at Six Flags America in Mitchellville, MD. They are known as hypercoasters for breaking the 200-foot height level, and they both deliver the goods in speed, acceleration, and airtime. One of the world's best-inverted coasters, Montu at Busch Gardens Tampa takes its riders careening on a wild journey in a train that hangs below the track. It's an incredible sight when Montu sends a trainload of dangling legs literally head over heels through one of its many inversions. It's even more incredible to experience the G-forces of Montu's inversions and other elements. With many of its sister rides towering over it at the coaster-crazy park, Maverick at Cedar Point is proof that bigger is not necessarily better. Great things can come in relatively small packages. And with its twin launches, super-smooth ride, and wild layout, Maverick is a great thing. An utterly unique coaster, X2 is the world's first "4th dimension" thrill machine. Its seats are on the left and right wings of the train, and they spin (in the 4th dimension) independent of the train as it travels the track. With a nearly vertical 215-foot drop and speeds reaching 76 mph, it is intimidating and totally disorienting. What a rush! The Incredible Hulk dominates the front section of the park with its outrageous green track, its crazy-looking launch tube, and its trainloads of cars doing precarious flips in the air as they emerge from the tube. Hulk is as wild to watch as it is to ride. Another hypercoaster from the ride wizards at Bolliger & Mabillard (also known as B&M), Nitro is silky smooth and offers a wonderful combination of extreme height, speed, and airtime. It is among some wonderful rides at Great Adventure, including another acclaimed thrill machine (although the one is wooden), El Toro. The continent's first diving coasters, Sheikra and Griffon, take riders to the edge in precariously open trains, taunts them for a few moments, then drops them 200 feet straight down. They are similar to one another. Among the things to love about coasters is airtime, preferably the "floater" air that Diamondback delivers in massive doses. This is an airtime machine. It's hard to believe that a coaster with such monstrous stats -- 210-foot drop, 73 mph -- could be so incredibly smooth. Believe it. A near-perfect blend of thrills, coaster elements, pacing, location in the park, and other features pushes this Superman-themed coaster up (up and away!) to the top of the list.